Holy cow!! I have managed to go from relaxed and laid back, to getting busy and worrying about fitting it all in! I’m going to get healthier and start flying jets this week (following post), while waiting to hear my airplane is coming online any day now. I think it might just be a CRAZY fall!! Setting goals and laying out plans to achieve them is where it starts. Plant a ton of seeds through networking and research, and then pick from the best looking sprouts that come up. Don’t forget to keep your relationships healthy and your spouse supported while your are doing all of this. Sounds simple, and it’s doable. Occasionally, all those seeds you planted come alive at the same time, and your attention gets a bit thin. More on that later. Getting healthy: Beverly and I are on a path to reduce our weight and increase our exercise. She is doing well on weight, and I am on track to lose 44 # by February. When we walk, we do at least 2 miles together on the trail, several times a week. 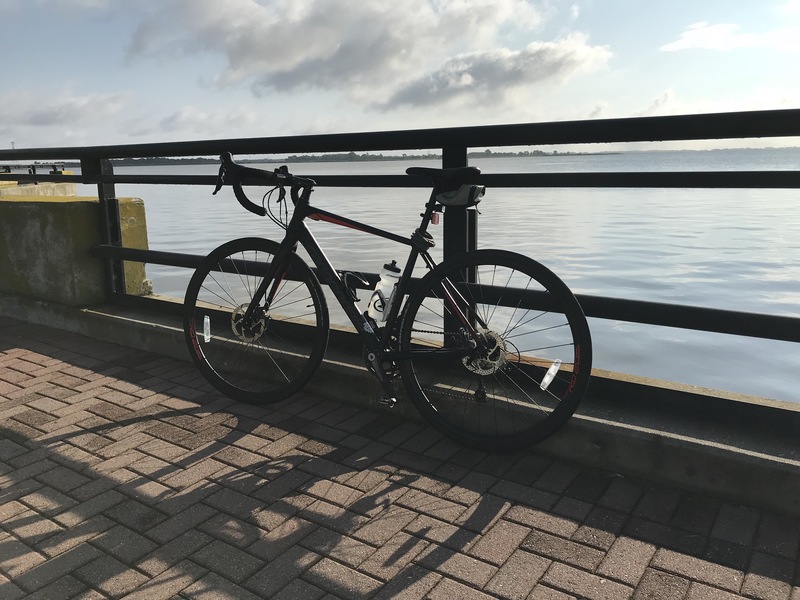 When I ride, I do either a 12 mile or 30 mile ride along the waterway. 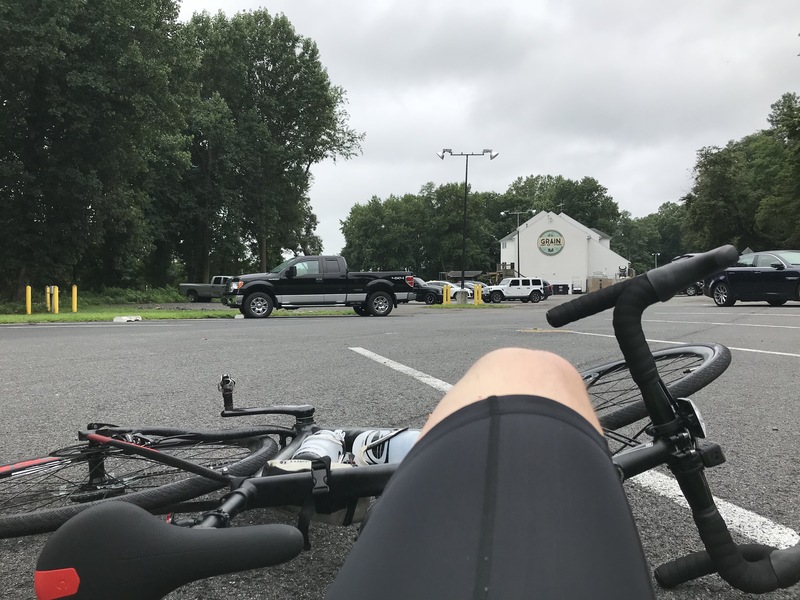 I’m using my new Cannondale bicycle to ride to Delaware City and back (the 30 miles journey), and loving every minute of it. The last time I’ve been on a road bike I had been commuting to college some 38 years ago. I did it then because I couldn’t afford to fix my car and needed to control my weight anyway. I was able to get to school every bit as fast as if by car, given the number of lights on the road and intersections I’d blow through. Even with that, I put on 37# in college working full time while taking on a full engineering course load. Worst four years of my life, but the best investment. It was there I started stress eating, and that trait would stay with me. So I’m trying to do my level best to meet that last goal alluding me – living the rest of my life under 200 lbs. I’m committed, and I have a wife supporting me too. Stay with me as I talk a little bit more about the exercise experience. My buddies Jeff F. and Jen P. are pilot friends who inspired me separately to take better care of myself through bicycling, and to get more fit in general. Jen encouraged me further by listening to my goals and giving me technical guidance on the equipment I’d need to meet them. She is in great shape and knows what she is talking about when the subject is flying or biking. She explained it all to me, and referred me to Matt from Henry’s Bike Shop. So I bought a new bike from Matt at Henry’s bike shop – a Cannondale Synapse lightweight aluminum road bike. I had been riding a relatively heavy Transeo 2 Hybrid to the Grain Restaurant on the canal a few times a week. I been watching people pass me on their road bikes all year, and just wondered if I could do more with the right equipment. People who know what they are doing equip these machines with pedals and shoes with clipping mechanisms. I’m training now to better utilize all of my leg energy to go further and enjoy the ride more. I occasionally forget to unclip when I stop, and I slowly fall over and hit the ground (pix below). I’ve fallen twice thus far, and am none-the-worse for wear. Using clips is more efficient than sneakers, and I’ll eventually remember to unclip. Passing 30 degrees of bank is NOT the time to remember to unclip your feet. I am currently meeting my exercise goals, but the weight goal is lagging by about 1.5#. I should be 228 by Sunday, but am tracking around 229.5. That weight is down from 243#, so I’m content that I’ll catch up. The exercise is keeping me busy. Now with a flying gig coming up – I’m probably going to slip some more. First Contract Trip! : I got a text yesterday asking if I’d like to fly a jet trip. I said HELL YEAH!! before I realized I be cheating my wife out of a well deserved and already scheduled Harley ride through small towns in Maryland. Bev has been working so hard, and this would have been quality time away. I am feeling bad about jumping on this opportunity, but I’ll make it up to her somehow. Fly safe!!! Right now that jet trip is done and I’m sitting in an airport waiting for a late night ride home. I’ll knock out these posts while I’m waiting, and feel the sleepless pain of the part 91 pilot. Hoping to get to Atlanta – and then home to Philly by 9am in the morning. Hell of a price to pay to play with airplanes, I’ll tell ya.